Though water is rarely the first thing that comes to mind when you think of a tall, cold glass of milk, the majority of that glass is actually made up of good, old-fashioned water. In fact, there isn't that much variation from one type of cow milk to another---and water plays an important role in all of them. Whole milk, as defined by the Milk Act, which regulates milk content, contains as least 3.25 percent milk fat. It also contain at least 8.25 percent protein, sugar (or carbohydrates) and vitamins and minerals. Otherwise, whole milk is made up of water---about 87 percent. 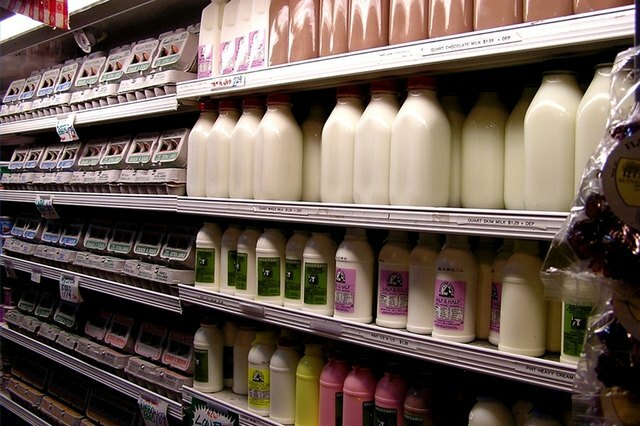 Whole milk can also contain vitamins A or D if they are added as supplements. In an 8 oz. serving of whole milk, there is approximately 150 calories and 8 grams of fat, according to the Dairy Farmers of Washington. Though other versions of milk from cows have about the same amount of water, they can have other small differences. In 2 percent or 1 percent milk, for example, the name of the milk is determined by the amount of milk fat present---in other words, 2 percent milk has 2 percent milk fat. 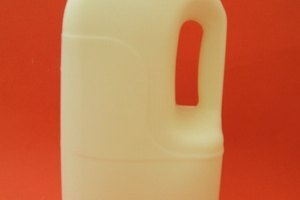 In skim milk, almost all the fat is taken out of the milk (up to 0.5 percent can be present by law). 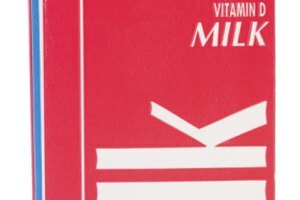 Skim milk has 80 calories per 8 oz. serving and 0 grams of fat, while 2 percent milk has 120 calories and 5 grams of fat. Buttermilk contains anywhere from 0.1 percent to 2 percent milk fat, and is made out of partially or completely skim milk. A culture, or bacteria, is added to the buttermilk. The culture produces lactic acid, which is what gives buttermilk its texture and tart taste. Some variations of milk have less than 87 percent water. Evaporated milk, for example, is milk that has 60 percent of the water removed. It comes canned with different levels of fat content. Sweetened condensed milk, like evaporated milk, has had 60 percent of its water removed, but it also has a sweetener added as a preservative. Powdered milk, whether whole, low fat or nonfat, has all or most (up to 3 percent can remain) of the water removed before it is packaged in powder form.